From sideshow acts to road trips through Mexico, Randal Levenson led the photography lifestyle many can only dream of. Now Joseph Bellows is getting to share some of his journeys, as part of the very first solo exhibition the gallery has had for the photographer. 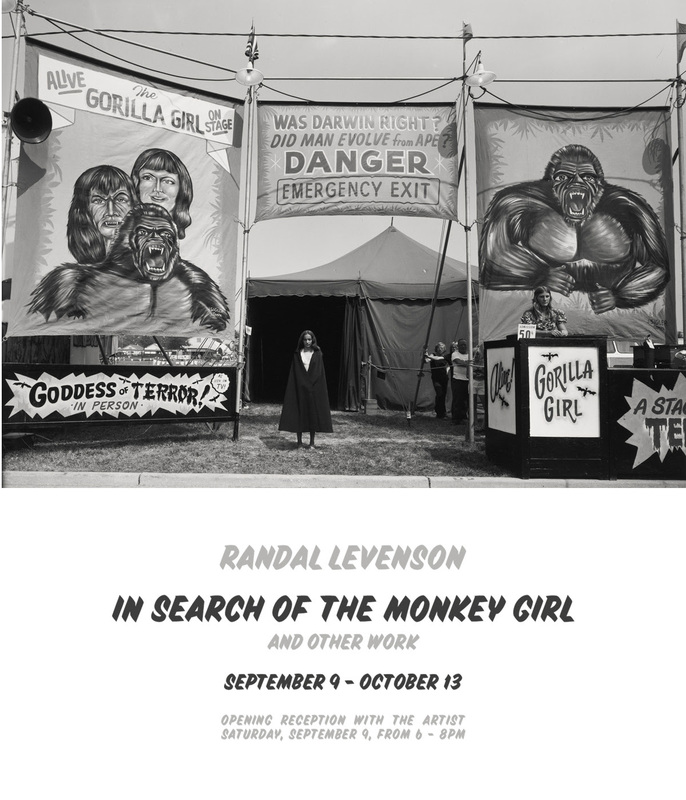 In Search of the Monkey Girl will present a selection of vintage black and white prints from the ten years Levenson traveled with various sideshows and carnivals throughout 1970’s. During this period, Levenson captured mesmeric and compassionate portraits of the assorted community of performers and workers. His camera also revealed the surrounding landscape of the midway; views of the exhibit halls, facades with posters announcing the oddities that reside within, and the thrill rides. The photographs as a whole express the spectacle of a life lived at the margins of society. In 1982, Aperture published a book of this work under the title, In Search of the Monkey Girl, accompanied by a text from Spalding Gray. Recently, Levenson has dedicated his attention to color materials and the portrayal of the American small town, its landscape, artifacts, and people. A selection of large-scale pigment prints from his Americana series will be featured in conjunction with the vintage work. In addition to the photographs from the Monkey Girl and Americana, a newly published portfolio of 11 carbon ink prints from the artist’s extended road trip in 1974, from Mexico City to Oaxaca and back will complement the other bodies of work. Randal Levenson was born in Wichita Falls, Texas in 1946 and developed an interest in photography during time spent in Alaska in the 1960s. He attended Brown University and studied photography at the Rhode Island School of Design. For those interested, the exhibit will open with an opening reception for the Artist on Saturday, September 9th, from 6-8pm. Visitors to the gallery will have until October 17th, to catch a glimpse.